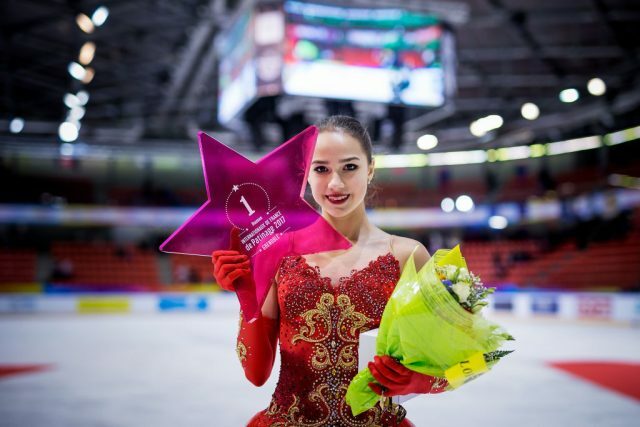 Russia’s Olympic figure skating champion Alina Zagitova is in a “fighting mood” as she approaches a new season in which she plans to use her failure at the 2018 World Championships in Milan as motivation. The 16-year-old from Izhevsk, who also won the European title last season, said she plans to turn her relative lack of success in Milan – where she suffered her only loss of the season, finishing fifth after falling three times in the free skate – to her advantage. “It wasn’t so successful a season after all, because at the end I missed out at the World Championships,” she said. Zagitova debuted her new programs for the upcoming season during a test event for the Russian Skating Federation earlier this month. “The test skates were my first public performances since the World Championships and therefore it was very difficult for me,” she said. Asked how she had changed since winning gold at Pyeongchang 2018, she added: “Growing older I start to be more serious, pay more attention to things like food. “I notice these situations, in the training process for example. “When the coach tells me to do these three jumps, I cannot not do them, because I know myself that I have to do that. Previous articleArmour: Where Does Tiger’s Comeback Rank? Or Does it Even Matter?